FREE 40 Downloadable Apps! Valued At $220! You are here: Home / Great Deals / Christmas Deals / FREE 40 Downloadable Apps! Valued At $220! WOWser! 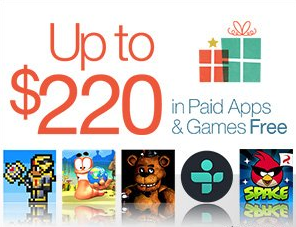 You can get 40 FREE apps with the FREE app of the day bundle from Amazon! There are tons of great apps you can download all for FREE!